I caught a little bug that's been going around, so I've been laying low the past couple of days. I've still been working but aside from that and making dinner, you can find me on the couch watching Downton Abbey. Why in the world did it take me so long to start watching this show?! I'm so OCD that I have to watch a show completely in order, so I've been catching up on Season 1 on Hulu. I can't wait to get to season 2! Do you love Downton Abbey? What do you like to watch when you're sick? Oh nosss! Hope you get better soon. Drink some apple cider vinegar :) I swear it helps! I have not hopped on the DA train yet... or watched any episodes but I have great things about it! I'm so sorry you are sick! I spend time checking out everyone's blogs when I am sick...LOL! feel better soon lady! i haven't started watching it but i hear so many good things that i'm thinking i should start. i definitely watch parks and rec when i'm sick - it always make me laugh so hard. I have been LOVING this show lately too! I am so fascinated with the lives of the people back then! I just finished season 1 and I'm moving on to season 2... on PBS online they are only keeping the episodes posted for a little bit longer so I hate that I have to rush through them but I don't want to miss my chance to see it! Although I'm sure they'll replay it on the PBS channel before season 3 comes on. So funny...I just started watching this too. I've only seen the first episode so far. I really liked it and I can't wait to get more into the season. When I'm sick, I like to watch comedies. It helps to laugh a little :) Feel better. My go-to sick shows are anything that make me laugh, specifically Friends or rom-coms. I'm hearing great things about this series, so I may need to hop on the band wagon :) I hope you're back to 100% soon! 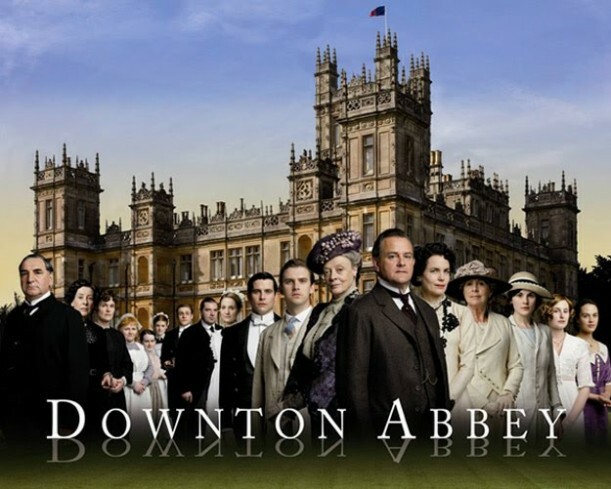 I LOVE Downton Abbey, that was my new show when I was feeling so sick because of being pregnant! I zoomed right through it - it's sooo good! Enjoy watching Season 2. Hope you feel better soon! I need to check it out...I've heard such good things! I haven't heard of this show before!! I have heard sooo much about this show! I am not feeling well and I might just have to watch it! Oh no! I hope you start feeling better soon!